The Spring Hill Public Works Department dedicates significant time and staffing each week to picking up roadside litter to keep our city clean. The amount of litter is increasing along with the population, meaning more man hours are needed to keep it picked up. Keeping our city clean is a community effort that starts with taking pride in our neighborhoods where we live. 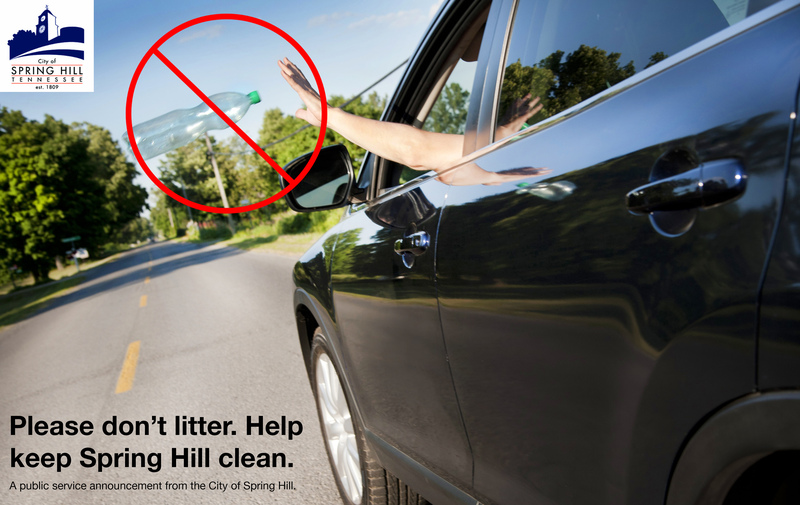 We hope everyone will do their part to help keep Spring Hill litter free. Thank you!